Hi there and welcome to your Bulimia Recovery Blog. 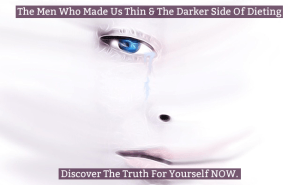 I say ‘yours’ because I’ve created this blog with you in mind, someone who’s where I once was; struggling with bulimia and who now wants to be free or is at least curious to find out more. 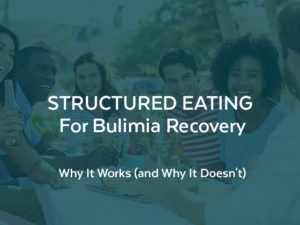 And so, you’ll discover information to inspire and support your own recovery in the posts here on your Bulimia Recovery Blog. 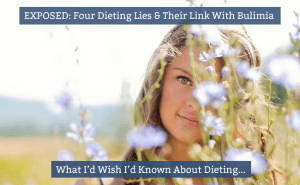 Information and insights either from my own personal experience and research or from mentoring and coaching others, along with any news and views from other experts in the field of eating disorders and beyond. 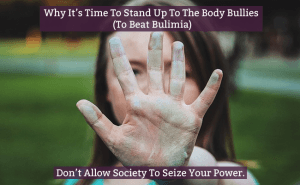 I truly believe in THE POWER OF A NEW PERSPECTIVE as a tool to cause change, so not all the posts will be directly related to bulimia or bulimia recovery. However I invite you to keep an open mind and be curious as they will indirectly relate and I share them with you to stimulate new understanding and insight and be a catalyst for your bulimia recovery. SO, PLEASE SCROLL DOWN & ENJOY. If you'd like to have any of your questions answered or to read about specific topics or ideas on your bulimia recovery blog then please write to me at Julie@bulimiafree.com. 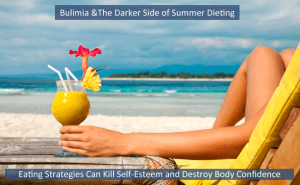 Are YOU Ready To Spring Out Of The Bulimia Trap? I love this time of year as the earth wakes up from its winter slumber and what looked dead comes alive. The world colours up as the trees, plants and flowers come back to life and the days get brighter, warmer and longer. "Likeness" – How Helpful Is This Movie For Bulimia Sufferers? Personally I don’t see how the movie ‘Likeness’ by Rodrigo Prieto is helpful. This short video about ‘eating disorders’ is more of a thinspiration (pro anorexia / pro bulimia) video with all the images of skinny models taking up a high percentage of the footage. So potentially glamourising eating disorders and triggering for someone with an eating disorder. However I’ve now been bulimia free for over 20 years. Instead of obsessing about my weight, popping laxatives and slimming pills and being terrified of getting fat, I have a healthy relationship with food and myself. What’s more I found freedom without therapy or mediacation. Instead I tapped into and used a resource I already had inside me. 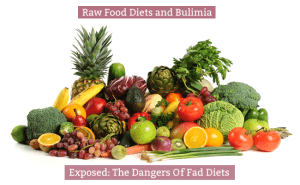 And the good news is that you have this resource too – and it’s waiting to help you become bulimia free. 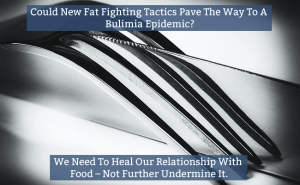 Could New Fat Fighting Tactics Pave The Way To A Bulimia Epidemic? On the one hand we’re seeing widespread obesity that’s even affecting very young children. Then at the other end of the spectrum, there are young people and adults suffering from eating disorders such as bulimia and anorexia. 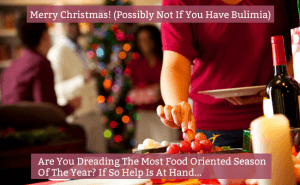 Bulimia and Christmas – How Will You Cope? Well hearing that it’s inspired a new stage show called Jackie The Musical, took me on a trip down memory lane. I dug out some of my old covers – here’s me on a New Year edition. 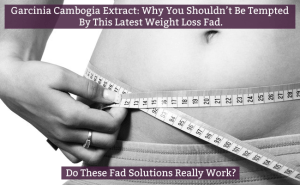 Garcinia Cambogia Extract: Why You Shouldn’t Be Tempted By This Latest Weight Loss Fad. Garcinia Cambogia Extract is the latest fad weight-loss plan that’s doing the rounds. This new weight-loss supplement is derived from a fruit whose rind contains hydroxycitric acid – a substance believed to promote weight loss. If you suffer from bulimia I’m not suggesting you can relinquish all responsibility for your eating disorder. That would not help you to recover. BUT I do believe it’s incredibly beneficial to take a fresh look at your situation and challenge some of the outside factors that influence you. If you struggle with your weight and feel the need to diet, you’ll find Episode 1 especially relevant. In the programme Jacques explains the history of the weight-loss industry and reveals the scientific studies that prove diets DO NOT WORK. Last week William and Kate, the Duke and Duchess of Cambridge, introduced Prince George to the waiting crowds outside St Mary’s Hospital in London.